Lock in a great price for Angsana House – rated 9.7 by recent guests! Tracy was an extremely gracious hostess! She was available for me to check in early after arriving from the US, and was knowledgeable and friendly about places to eat and things to see nearby. Everything was so clean, and the bed was extremely comfortable. The area was also very quiet. 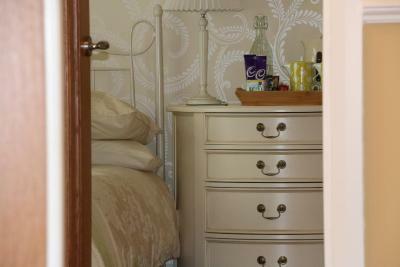 There was an assortment of tea, cocoa and biscuits in my room, which was great since I was hungry when I arrived! The lockbox system made it easy to come and go as I pleased. 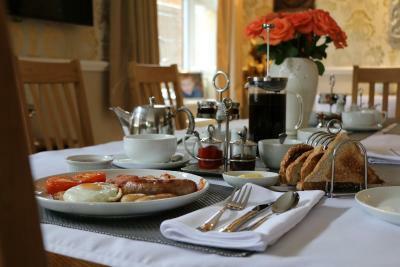 Breakfast was served at the time of my choosing, and the full English breakfast was delicious! I highly recommend Angsana House, and will check its availability first the next time I fly into London and need an overnight nearby. Just perfect. I’ve paid more for a hotel and slept worse, had a rubbish breakfast spread and less comfort so I would highly recommend Angsana house. 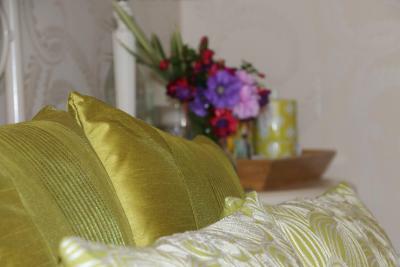 It was beautifully presented, spotlessly clean, comfortable and homely. The Room and house were just perfect. Excellent breakfast. Tracey is a great host. Tracy was a doll - she helped us with our boarding passes and flight problem. Very social and easy to talk to. 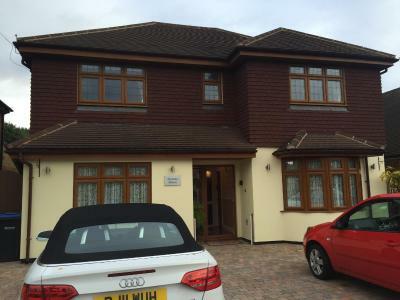 House was lovely and very clean, also convenient to Heathrow airport. Tracy also gave us nice wine glasses to use. Excellent value for money in every way - I will definitely return. Great breakfast, clean and tidy with a lovely hostess. Couldn’t ask for more, service was great, room was great. 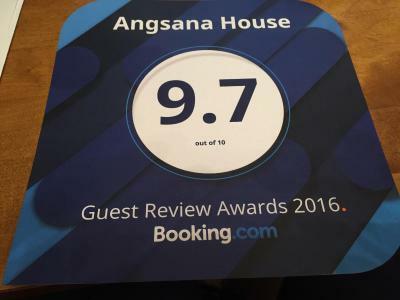 Angsana House This rating is a reflection of how the property compares to the industry standard when it comes to price, facilities and services available. It's based on a self-evaluation by the property. Use this rating to help choose your stay! 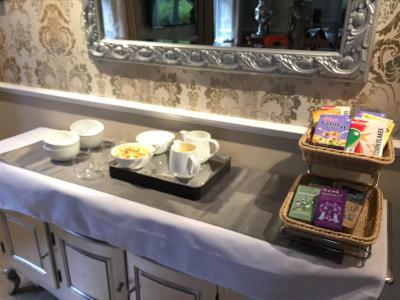 Featuring free WiFi, Angsana House offers bed and breakfast accommodations in Thorpe, an 8-minute walk to Thorpe Park. Ascot Racecourse is 7.5 mi away. Free private parking is available on site. 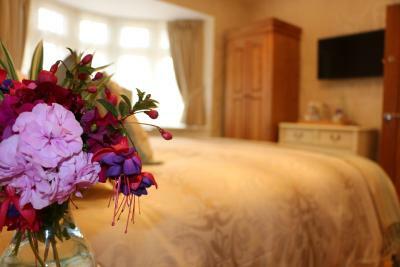 The rooms amenities include an en-suite shower room, WiFi, a flat-screen TV with Freeview and a DVD player, with complimentary toiletries and hairdryer. 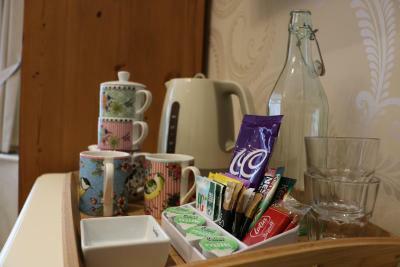 Guests also have water, tea and coffee facilities, and an iron. 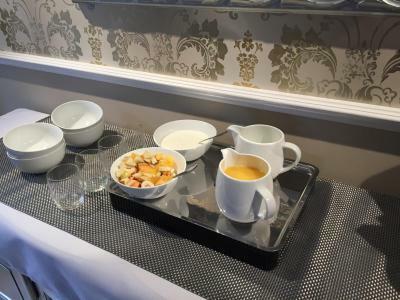 Fruit, cereal and juices and a full cooked English breakfast are available for breakfast. Windsor Castle is 8.4 mi from Angsana House, while Reading is 20 mi away. 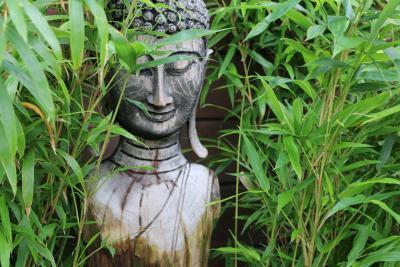 The nearest airport is Heathrow Airport, 5 mi from Angsana House, as are the mainline stations to London. 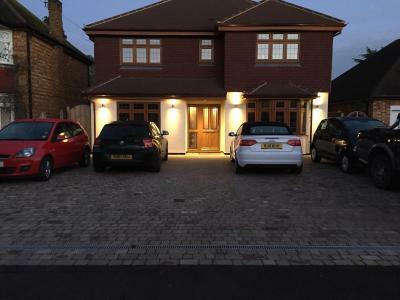 This property also has one of the top-rated locations in Thorpe! Guests are happier about it compared to other properties in the area. This property is also rated for the best value in Thorpe! Guests are getting more for their money when compared to other properties in this city. When would you like to stay at Angsana House? 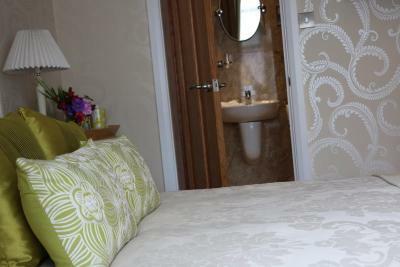 This king-sized/twin room has water, tea and coffee making facilities and an en-suite shower room. 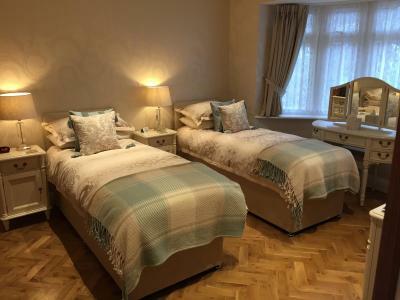 This double room has an en-suite shower room, electric kettle and DVD player. 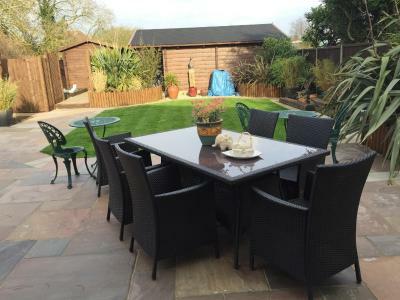 The property is completely rebuilt everything is new from windows to fixtures and fittings .It has a warm welcome feeling and has been refurbished to a high standard . House Rules Angsana House takes special requests – add in the next step! Debit card Angsana House accepts these cards and reserves the right to temporarily hold an amount prior to arrival. Angsana House accepts these cards and reserves the right to temporarily hold an amount prior to arrival. Please inform Angsana House of your expected arrival time in advance. You can use the Special Requests box when booking, or contact the property directly using the contact details in your confirmation. room was a little small, no table to put things on. The place was immaculately clean not a spec or dirt. The rooms were cleaned daily with fresh towels. 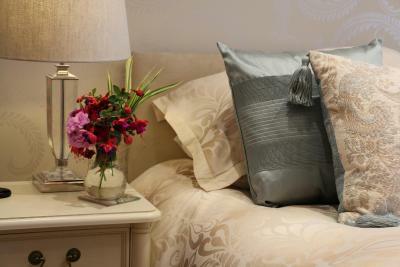 The service was of the highest quality and couldn’t have been made to feel more at home. The beds were incredibly comfy stayed for 3 nights and slept perfectly. The room came with a fan which in this heat helped a lot. Will be coming back again next year for Thorpe Park it’s a 10 min walk up the road quicker than waiting in queues for car park. Couldn’t recommend highly enough. Slight smell in the bathroom when water was run or loo flushed...better lighting in bathroom would be great! Tracey, the owner was really lovely and very friendly and chatty. 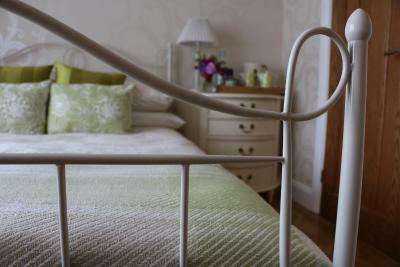 It is a lovely property and the breakfast room over looking the garden is gorgeous. All of a very high standard and extremely tasteful!